Arin's Auto Repair and Sales is a full auto repair facility that performs quality auto repairs and sells fully repaired used vehicles. Servicing any aspect of your vehicle from tires, wheel alignments, nys inspections, check engine light or anything your vehicle may need Arin's can fix it. Arin has two college degrees from corning community college; one in Automotive Technology and the other in Auto Body and Collision Repair. Arin has been repairing vehicles since he was thirteen years old. Arin realized how much he enjoyed fixing things with his grandfather since he was eight years old repairing snowmobiles, go-carts, dirt bikes or anything with a motor. Arin has the knowledge, the shop and tools to repair your vehicle correctly in a timely manner. Check out our service page for a list of things Arin's has to offer such as alignments with a state of the art alignment machine to maximize the mileage you should get out of your suspension, steering components and your tires. Arin's offers a huge selection of tires. 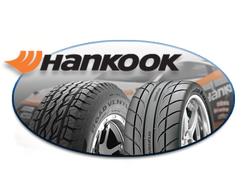 Hankook is Arin's suggest tire no matter what vehicle you may own. We have a comfortable waiting room with coffee and free wi-fi for our valued customers. Stop by and let us serve you.